Have you heard of Martin O'Malley? The former Baltimore mayor and Maryland governor is a Democrat hopeful in the upcoming presidential race. While he may not be in the national spotlight just yet, O'Malley has some ideas about student loan debt that you should know about. Check out this recent Washington Post article. In a speech last month, O'Malley addressed a crowd and admitted that he had accumulated nearly $350,000 in loans from his two oldest children alone. This personal experience prompted his proposal to address the growing student debt problem. O'Malley wants to increase Pell Grant funding and, among other things, make available pathways for students and parents to refinance their debt at lower rates. The takeaway: do as O'Malley says, not as he did. He and his wife are political powerhouses in Maryland, and he acknowledges that they are not the typical family when it comes to debt servicing ability. His ultimate goal is to make it easier for parents to offer their children opportunities to go to college and graduate with a manageable amount of debt. 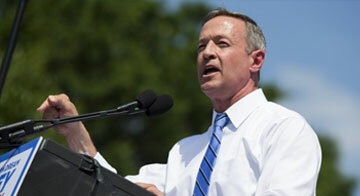 What do you think of Martin O'Malley's goals for student debt reduction? We would love to hear your thoughts below.